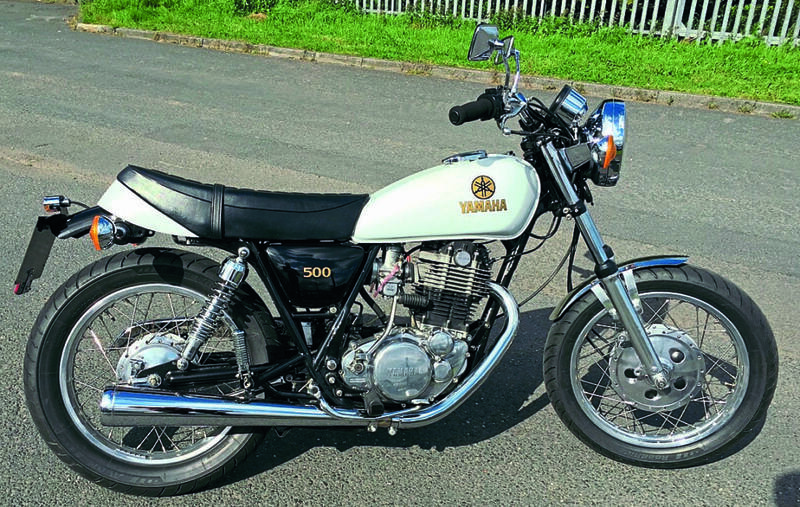 I have been restoring two Yamaha SR500 machines over the past couple of years and although your magazine has featured many articles on the XT500 I can’t recall anything recently being published on its road going version! (We did it in June 2014 Ron! Bert). 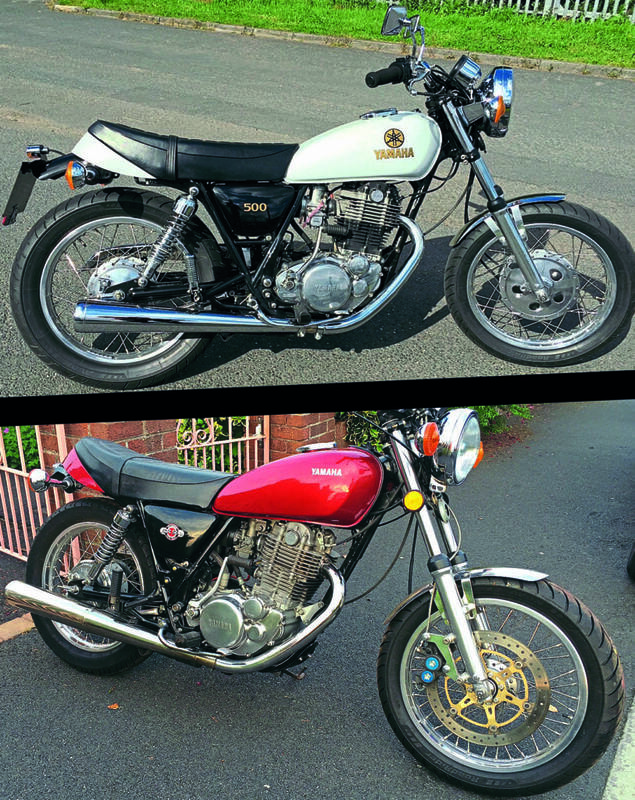 There is a huge range of modified SR500 machines in the UK and although not that popular in this country they have a cult following in places such as Australia, the USA, France, Germany and Thailand. With my machines I have not removed anything that cannot be bolted back on and I have also replaced the mag wheels with spoked alloy rims, which then allowed me a chance to do my own wheel building. So I hope you run a feature on these bikes soon as they are increasing in value and good examples are becoming hard to find. 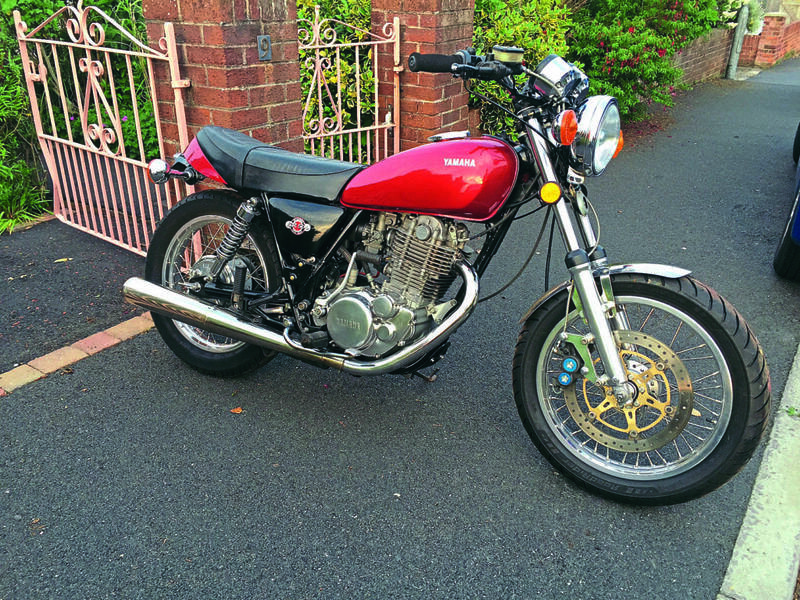 I have enclosed a pic of my red SR500, a 1977 model which began life in Texas and has now ended up in Ireland, and a 1983 model which was the first one I fitted with spoked rims.